Material representations of Indigenous history in public museums are always incomplete and idiosyncratic, revealing only a small window into the social worlds of diverse human communities. Museums create, in essence, staged assemblages: compositions of objects, documents, portraits, and other material things that have been filtered through an array of influences—museological missions, collection processes, curatorial choices, loan possibilities, design concepts, research specialties, funding options, consultant opinions, space limitations, time limits, logistical challenges, etc. These influences inevitably determine which objects are selected for display, what events will take precedence, how cultural interactions will be re-conceptualized, and whose stories will be told. 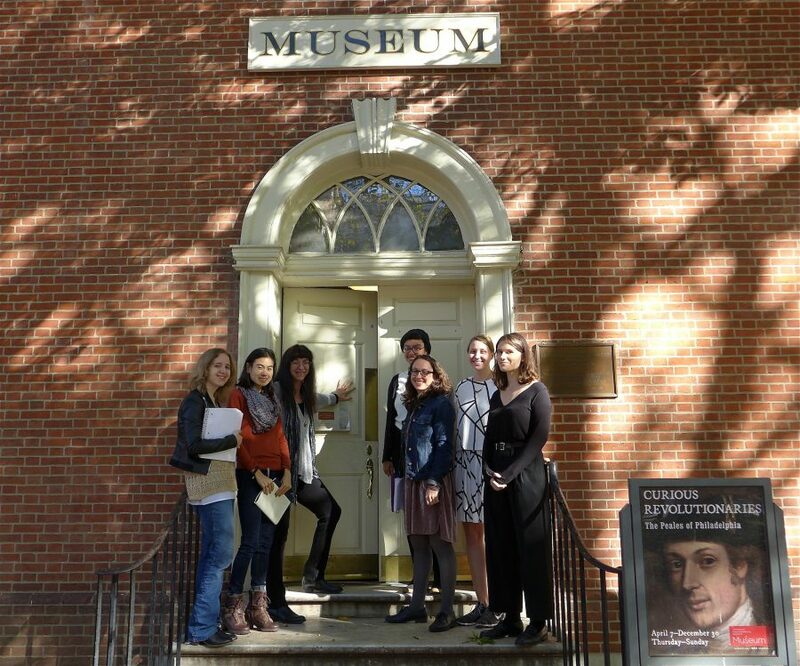 During the fall semester of 2017, students in the Penn “Anthropology of Museums” class toured a selection of Philadelphia museums, to examine how these museums represent local histories in public exhibits. Our visits included several museums in Old City that highlight colonial American histories, most notably the American Philosophical Society, the Historical Society of Pennsylvania, and the Museum of the American Revolution. The class also visited sites that function less obviously as museums, including City Tavern and Welcome Park. In each locale, we observed, not just objects, but relationships among objects and subjects, and curators and audiences. We learned a great deal about history, and also gained better understandings of the entanglements among, for example, the American Philosophical Society, the Philadelphia Academy of Natural Sciences, and the University of Pennsylvania Museum of Archaeology and Anthropology (Penn Museum). In each museum, Penn students interviewed curators, looked into behind-the-scenes collections, and studied the exhibits on display. They composed critical reviews of each exhibit by analyzing the particularities of content, themes, audience, message, design, interpretive strategies, and cultural representations vis-à-vis specific individuals and objects. To write their blog articles, students selected objects, documents, or other material on display that reveal unique insights into particular collectors, curators, and communities. They also focused on specific strategies used to make certain people and objects visible (or invisible) in public museums. Their reviews can be found on the Penn Museum blog (see links below).